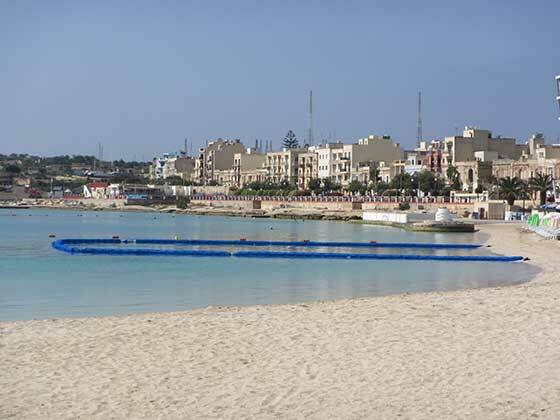 Earlier this week, the Physical Oceanography Research Group within the Department of Geosciences, through Prof. Alan Deidun, coordinated the installation of the first MED-JELLYRISK anti-jellyfish net in Maltese bathing waters. 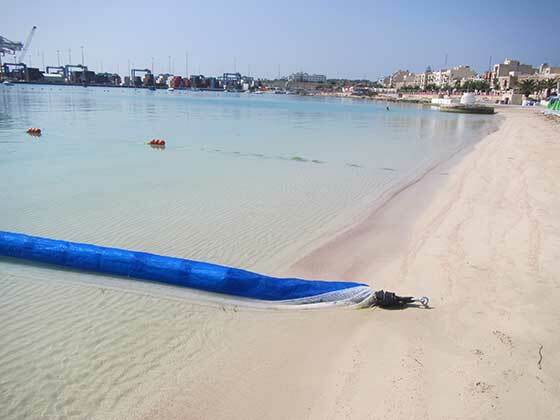 Such a net was installed at Pretty Bay in Birzebbuga, enclosing a total sea area of 625m2 and reaching down to a maximum sea depth of 2-2.5m, with the collaboration of the Malta Tourism Authority, Transport Malta, the Birzebbuga local council and Blue Flag Malta. 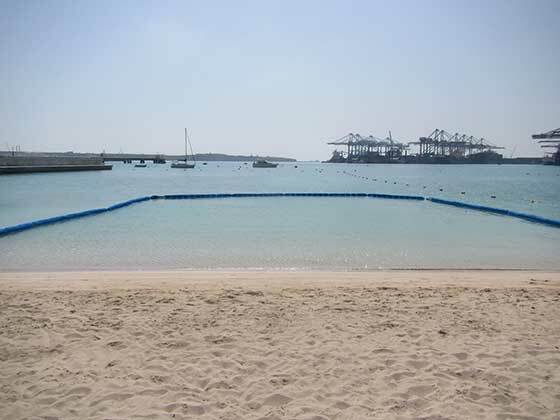 The same net, which has been tailor-made such that it keeps out jellyfish individuals from the cordoned area as well as floating debris and residues, will be monitored regularly for its performance and environmental impact and will be retrieved at the end of the bathing season. Similar nets have been installed through the MED-JELLYRISK project in other popular Mediterranean beaches such as Ibiza, Elba, Barcelona, Lipari, Monastir and Hammamet. The net installed at Birzebbuga will be officially inaugurated by Hon. Minister for Transport and Infrastructure Joe Mizzi in the coming weeks. MED-JELLYRISK is a 3-year-long project, funded under the framework of the ENPIC-CBC MED framework, which involves the participation of 5 countries hailing from four countries (Italy, Tunisia, Spain and Malta), including the University of Malta, which is represented by the Physical Oceanography Research Group and by the Department of Biology. 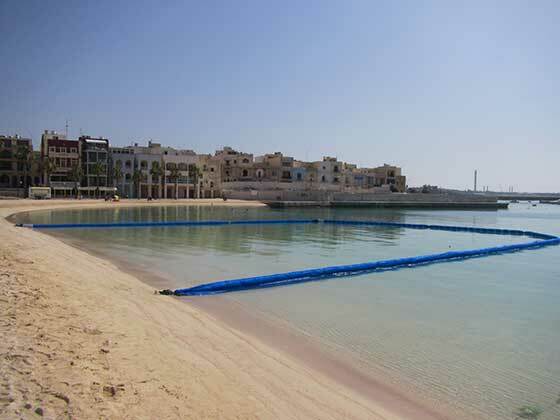 Within the same project, a number of other initiatives have been embarked upon, all aimed at improving the coastal management facilities dealing with jellyfish. These include, the development of a smart phone app (MED-JELLY), the organisation of a training school in Barcelona for students pursuing jellyfish and zooplankton studies, the installation of jellyfish research facilities in Tunisia and the printing of different manuals and booklets providing information on the treatment of jellyfish stings and on the taxonomic identification of different jellyfish species occurring within local waters. Such publications are all available for free download from www.jellyrisk.eu/downloads . The local Spot the Jellyfish citizen science campaign (www.ioikids.net/jellyfish) collaborates closely with the MWD-JELLYRISK project for data sharing purposes and to avoid duplication of effort.